- Empowered to own and drive your own goals and make changes that will directly impacting the success and hyper growth of the business. - Collaborative and blameless work environment that supports continuous learning and ingenuity. - Opportunity to experience the tipping point of today's hottest emerging markets and industry. - Exposure to a world-class management team with diverse backgrounds and boundless ambitions. - Accelerate your career advancement, supported by a start-up in its hyper growth phase. - Work in tropical metropolis, Kuala Lumpur. - Work permit / VISA sponsorship for expatriates, Medical Benefits and Health Insurance coverage. - Experience Asia's diverse cultures with talent and experts from more than 25 nationalities. - Work in a results drive, flexible working environment. ABOUT IPRICE GROUP Witnessing the rise of e-commerce in Southeast Asia first hand, we were increasingly unsatisfied with the online shopping experience. As more and more new online shops emerged, it became increasingly difficult to find the products you are looking for as well as the best offers and promotions. We felt lost in the e-commerce jungle. What was missing was the one stop shopping destination that let’s you easily find any product online, in an intuitive and visual fashion. We are a team of young individuals, with a special mix of tech geeks, fashionistas and entrepreneurs. We have a strong bias for action, we want to learn, grow and we want to build a great company together. Our mission is to create the most delightful online shopping experience. We aim to provide the widest selection of products across all categories, no matter whether you are looking for a blue dress, 17cm high heels, a solid bag pack, or a new couch. With the help and funding of the Asia Venture Group – investments include iMoney, Trusted Company and Happy Fresh - we quickly acquired international know-how, expertise and talent in fields ranging from technology over online marketing to the business side of things. 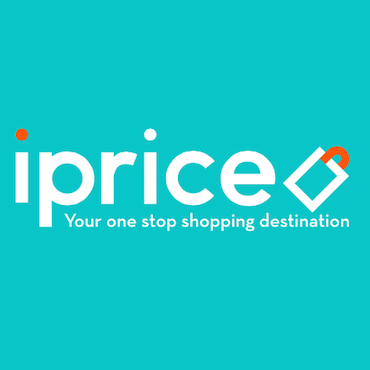 Focused on execution from our headquarters in Kuala Lumpur, we quickly grew into the leading platform for online shoppers across seven markets: iprice Malaysia, iprice Singapore, iprice Indonesia, iprice Philippines, iprice Hong Kong,iprice Thailand and iprice Vietnam.